Favorite book originally written in English: John Williams’s Stoner (previous post) is beautifully written and structured, a neat novel about messy emotional lives. Favorite book translated into English: Thomas Pletzinger’s Funeral for a Dog(previous post), translated from the German original by Ross Benjamin, is a wonderful book about life, death, and memory. Benjamin’s translation made me eager to read his translation of Joseph Roth’s Job, patiently waiting on my shelf. Favorite twisted humor: Patrick Hamilton’s The Slaves of Solitude (previous post), with a main character called Miss Roach, and Ludvík Vaculík’s The Guinea Pigs (translated by Káča Pláčková from the original Czech) (previous post), with a main character who throws rocks at his own kids, were both filled with strange scenes and twists. 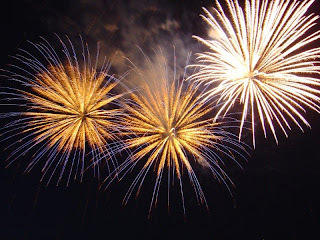 I wish everyone a happy, healthy 2012 that brings many new favorite books! Disclaimers. The usual. A repeated thank you to those who sent me books mentioned in this post: Regal Literary (Funeral for a Dog), my bookstore friend (Slaves of Solitude), and Open Letter (The Guinea Pigs). Further disclaimer information is on each referenced page cited here. 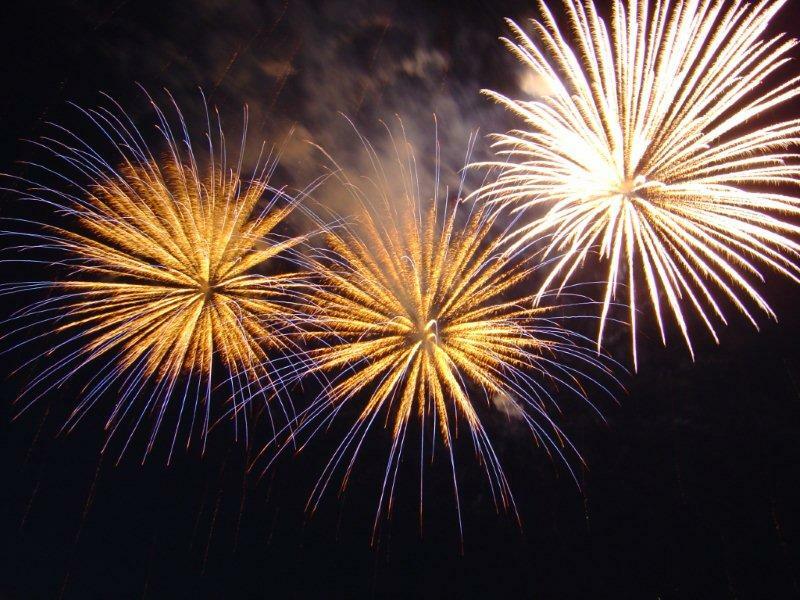 Image credit: Fireworks in Bratislava, New Year 2005, from Ondrejk, via Wikipedia. 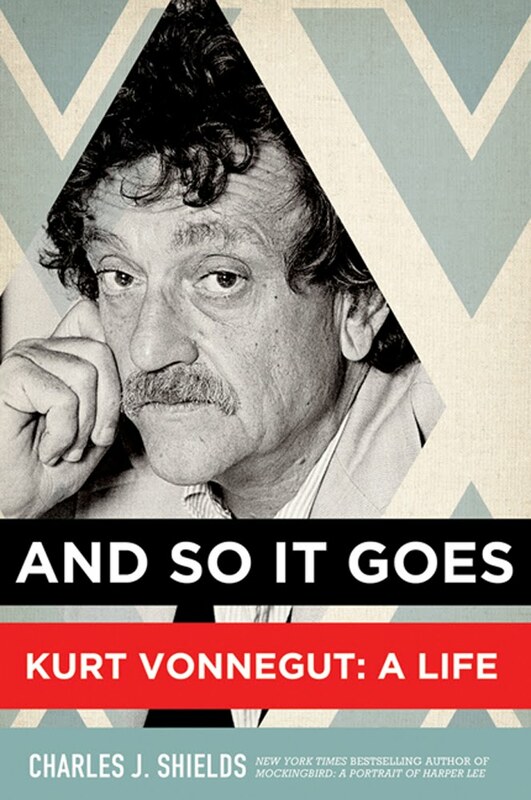 Charles J. Shields’s And So It Goes: Kurt Vonnegut: A Life tells the Kurt Vonnegut, Jr., story in a way that makes Vonnegut’s life feel like a strangely everyday epic, making Vonnegut, to borrow a term from Russian literature, a hero of his time, someone emblematic of his generation. Vonnegut’s life, lived 1922 to 2007, was touched by the Great Depression (diminished family status), World War II (prisoner of war), the Vietnam War and the 1960s (opposition to the war), and the contradictions of fame and celebrity culture (writing about himself but alleging to want peace and quiet). …I deal with sophomoric questions that full adults regard as settled. I talk about what is God like, what could He want, is there a heaven, and, if there is, what would it be like? This is what college sophomores are into; these are the questions they enjoy having discussed. And more mature people find these subjects very tiresome, as though they’re settled. Shields writes, a little later, that Vonnegut’s books offer young readers “their first exposure to existential despair,” and on the next page he calls Vonnegut “a reluctant adult.” I think I’d be giving myself far too much credit to say I sensed that as a teenager: I certainly wouldn’t say that my thinking in high school was more advanced than Vonnegut’s typical college sophomore (his statement strikes me as ridiculously condescending toward the people who made him rather rich) but I wonder now if Vonnegut’s use of goofy names and science fiction tropes began feeling gimmicky to me even as tender highschooler. Shields’s book covers Vonnegut’s life from his not-so-happy childhood, when he felt overshadowed by his science-oriented brother, through his not-so-happy advanced age, when he liked to sit on a bench near the United Nations with a Lhasa apso named Flour, “doing nothing, just people watching.” The book left me feeling sad about all that not-so-happiness (even if, per Tolstoy, every unhappy family is unhappy in its own way)… and fully ready, yes, happy, to set aside my Vonnegut books for the duration. Despite the sadness, I enjoyed reading And So It Goes: I thought Shields did a nice job linking Vonnegut’s individual history to world events. And I particularly enjoyed his chapter on Vonnegut’s time at the University of Iowa’s Writers’ Workshop; Shields describes the workshop method and the reasons for Vonnegut’s popularity as a teacher. Another favorite tidbit from the book: Vonnegut’s first wife, Jane, who studied Russian literature, selected The Brothers Karamazov for him to read on their honeymoon. What a way to start a marriage! Disclosure: Thank you very much to publisher Henry Holt for a review copy of And So It Goes. Up Next: Christopher Hitchens’s Letters to a Young Contrarian. Elias Khoury’s White Masks, translated from the Arabic by Maia Tabet, is an intriguing book, a novel composed of narratives referencing aspects of the Lebanese civil war, told by people whose lives intersected with a murder victim found in a pile of garbage. The stories in White Masks felt both emotional and matter-of-fact, almost like confessions. An astute reader will probably consider it a waste of time to read stories everyone knows about, while another kind of reader will think that there are better and more exciting stories than this one. And they’d both be right, and so would you, and so would each and every one of us… as likely as it could be your fault, it could be ours, it could be anyone’s, or everyone’s… And truth is indivisible, they say! In my reading of White Masks, this all makes plenty of sense, except, of course “waste of time.” Storytellers aren’t reliable, all our stories repeat, war is hell, life and death are mysterious and unknowable, and every story told is somehow a truth. The first interviewee, Noha Jaber, widow of Khalil Ahmad Jaber (the deceased), stresses stories near the start of her chapter, saying, “We’ve turned into a story, a tale people tell.” She later amends that, saying, “What can I tell you, we’d become a story, a mirror.” I thought Noha’s story was one of the most interesting in the book, with descriptions of her son, Ahmad, his death, and Khalil’s reactions: Khalil first hangs posters of Ahmad around town but later takes to erasing Ahmad’s face from newspaper clippings. Other interviewees offer stories about their marriages, death at war and in the city, apocalyptic-sounding garbage piles, and more whitening and erasing. There’s also an autopsy report. And accounts of two men who lose body parts, an eye and an arm. 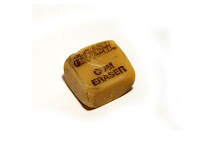 Pain, loss, and chaos, both verbal and social, are the common threads in White Masks, and what sticks in my mind is a composite sound of keening and a picture of the erased face of a dead man, an emptiness that could be filled with another’s image. I wrote at the start of this post that I found Khoury’s book “intriguing”… and I’m still not sure how else I’d describe it. It’s a book I never considered abandoning despite huge doses of pain and the thematic drawbacks the journalist himself mentions. A murder mystery with uncomfortable scenes that lacks a solution or a villain—war, unrest, and social decay feel horribly abstract and unsatisfying—doesn’t sound very appealing even if it reflects real life and death better than a detective novel where the killer gets a life sentence. I suspect I found in Khoury’s techniques—particularly his ordered literary chaos—an interesting and affecting counterpoint to my all-time favorite book, War and Peace, which, though a far happier book, also contains an artful mixture of order and disorder, war and home front, and twisted truths. For more: Paul Doyle’s piece about White Masks on The Quarterly Conversation. Up next: Milen Ruskov’s Thrown into Nature and Charles J. Shields’s And So It Goes, about Kurt Vonnegut, Jr. I’m not big on biographies but this one sounded interesting, particularly given my love for Vonnegut’s books when I was a highschooler. Disclosures: Thank you to Archipelago Books for the review copy and to Amy Henry, an Archipelago ambassador, for introducing me to Archipelago. I’m looking forward to reading my other Archipelago titles. Image credit: Paks, via stock.xchng.